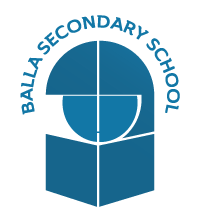 At Balla Secondary School there are four programmes in the Senior Cycle. Students may take a Transition Year or they may go directly into Leaving Certificate Programmes where there are two distinct two year Leaving Certificate options – Traditional Leaving Certificate and Leaving Certificate Applied. Within the traditional Leaving Certificate is a special programme called the Leaving Certificate Vocational Programme. This is the year after Junior Certificate, during which a student can take the opportunity to develop personally, develop skills and take a year out from the pressures of examinations and consider what path they wish to follow in the future. Advantages: Students’ development is encouraged through sport, the arts, social action, work experience, critical thinking, various skills and teamwork. Core subjects are essential elements of the Transition Year. Research has shown that those students who participate fully in Transition Year generally perform better in the Leaving Certificate and have less difficulty with the independent learning style required in third level institutions. Academic: History, Geography, French, German, Physics & Chemistry, Biology, Agricultural Science, Business, Accounting, Music. Practical: Home Economics, Art, Design & Communication Graphics, Construction Studies. They must study the two link modules, Preparation for the World of Work and Enterprise Education. Students are required to follow a recognised course in a Modern European Language (other than Irish & English). Students will benefit by: Taking responsibility for their own learning; working as a member of a team; gaining knowledge of the world of work; learning about setting up and running enterprise activities and gaining skills such as analysis, research and ICT skills that will benefit them at third level. Leaving Certificate Applied is an alternative to the traditional Leaving Certificate. It is a two year programme designed to suit students who find academic work difficult. Students who wish to pursue courses in some third level colleges can do so by completing a further year in a Post-Leaving Certificate course. LCA does not suit students who wish to go directly to University. Each module is designed to last half a year and is examined at the end of that time. Modules are built around projects, tasks and activities. Preparation for work and work experience.